Monolith Soft, the development studio behind the Xenoblade Chronicles franchise, has been incredibly busy in terms of recruitment just lately. Back in May this year, the studio began actively and urgently recruiting for "experienced staff in action game development", and the team had reportedly grown in size just a few months later in August. Now, the company is hiring once again, this time searching for a surprisingly high number of new staff members to work on a new RPG project. The roles are all for Monolith Soft’s 1st Production development department - the team which developed Xenoblade Chronicles, Xenoblade Chronicles X, and Xenoblade Chronicles 2. According to Gematsu, the studio is currently searching for a wide variety of personnel including "programmers (graphics programmers, character control programmers, and AI programmers), planners (level designers), technical artists (modeling TA, animation TA, and effects TA), designers (map modelers, in-game animators, character modelers, character designers for the artwork staff, and script event creators)". If that wasn't quite enough, a search is also on for management and support staff - including production assistants and event production management - all to work with the team on this new RPG. So what is this RPG? 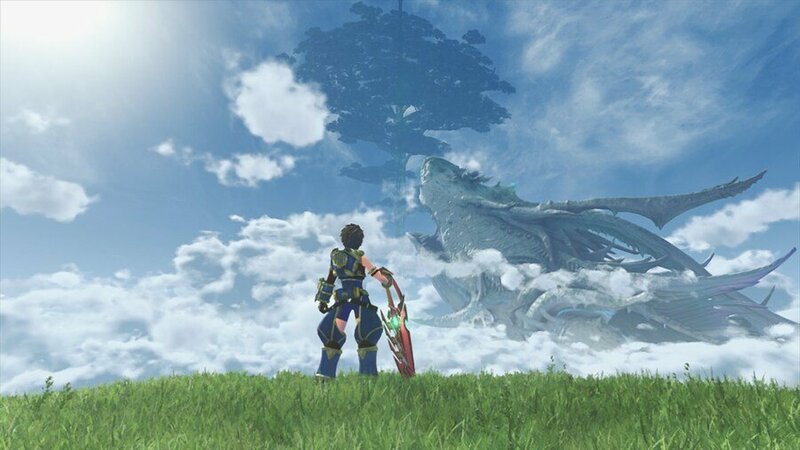 Could a brand new Xenoblade Chronicles be in the works now that Torna - The Golden Country is out in the wild? Or is this something entirely new, with a new batch of employees being brought in to bring something fresh to the studio? Whatever it is, it's certainly an exciting time for fans of the developer. You can check out the recruitment website here if you're interested but, before you go, why not let us know what you hope to see from Monolith Soft in the comments down below? I hope they are hiring more so they can have both a team working on new content and another team porting Xenoblade Chronicles and Xenoblade X to the Switch. Hey, I can dream! Can't I? There were rumours that the Baten Kaitos series may be revived! Time will tell! X2 maybe? I'm interested in whatever they put out, they know how to create a game world. 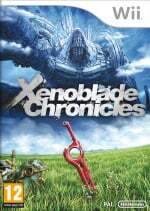 They already said they are not going to do any Xenoblade Cronicles for a while. 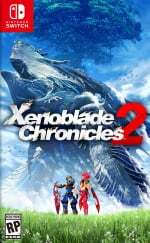 They just wrapped up the huge Torna DLC for XC2. If they follow the same pattern as the past, we only saw one XC game per console generation. XC1 for the Wii, XCX for the WiiU and XC2 for the Switch. So it's going to be a different IP than XC. @Heavyarms55 I hope they bring Xenoblade X to the Switch, although I don't think I would go through it unless they iron out its wrinkles.... though I loved the game. @Heavyarms55 That is a very good dream. As to be expected. I am personally hoping for XCX-2. Daydreaming: Monolith Soft secretly acquired The Last Story IP and plan to release 12 sequels, each one better than all the previous ones combined, within the Switch lifespan. @Rhaoulos Oh man, TLS was great. Switch port when? Can you stop mention that Forbidden name from (Beep) rated 18+ games ?! I hope they revive Baten Kaitos. A Baten Kaitos game in a Xenoblade style world would be amazing and actually the game I'd love to see the most out of Monolith at the moment. Xenoblade Chronicles X2 would be a close second. The first game had a big cliff hanger that leaves a lot of room for story expansion and I think XCX had the most potential out of the all the Xeno games is just got bogged down by too many fetch quests. XC3 please! Or a nice HD remake of the first game with a few touch ups to the mechanics here and there would be awesome, but personally I'd want them to hold off on that until the next ninty console so they can get it to look PERFECT. Man, to think Monolith Soft was able to make Xenoblade Chronicles 2 in 2-2.5 years while only having half their staff available for a lot of it (thanks to Breath of the Wild), and now they're hiring a bunch of people on top of the ~100 they already have. This new game is going to be gigantic. @R_Champ here's hoping! If they do bring out a new game in the BK series, then I'm wondering if they'll be bringing the Gamcube titles as a HD package as a sort of introduction for those who missed out? @Fazermint It's just a recurrent dream of mine. I loved the first one so much I kept playing without getting tired of it. I'd pre-order a HD remaster in a heartbeat but I doubt we will be getting any of this. Xenoblade X2, Xenoblade Chronicles 3, Xenoblade "third way" game, or Baten Kaitos 3 would all be welcome. As would Baten Kaitos I+II HD or Xenoblade Chronicles HD or Xenoblade X DX, though less so. As a leftfield option, how about Monolith making the Switch's first entry in the Mario RPG series? It's often good when these franchises switch to new development teams, like Retro taking over Donkey Kong Country. After Squaresoft, Intelligent Systems, Ubisoft etc, surely Monolith can have a go? @Krull Eh, I think one of the most importants details in a Mario RPG is humor. The humor Monolith has is way more serious or anime based than what a Mario RPG has. XCX desperately need a closure. I'm a huge xcx fan because of its sci-fi style compared to xc & xc2's fantasy themed style. I understand that the game was too experimental on top of getting released on a console with extremely low installbase, but who does mech better than the xeno guys? So come on monolith! #xcx2!!! @Jeronan Xenoblade came out near the end of Wii's life cycle. The Wii U just didn't last. Nintendo has stated they want the switch to last a long time. It's more than likely we'll see at least one more mainline Xenoblade in the Switch's life cycle. Whatever it is, how about optimizing for handheld this time around? Anything Monolith related is a day one for me! Seeing that they hired even more people, they are probably working on another project on top of this new RPG. Maybe we will be lucky enough to get a Xenoblade Chronicles X port on top of this new RPG. Really interested to hear more about the New game they are making. I want to pkay Xenoblade Chronicles X so badly. I sold my WiiU before it was released. It is the one WiiU port I really want. @Spectra probably that's the case. There's two big game series that I have heard a similar thing that are Zelda and final fantasy and I have to say those choices match for me also (LTTP and FF VII). Anything MonolithSoft makes is an instant day one purchase. If it's on a new Nintendo console, then launch day purchase of that console. I really hope it's XCX2. @Krull On a similar note, I'd like to see Monolith make a Kingdom Hearts type game in the Nintendo universe. Call it Smash Bros: Quest or Saga or something. @Jeronan Or its for Switch 2. Who knows. Hopefully with be another Xeno game. @Spectra @Balta666 I too prefer 2 and I played 2 first as well. Haven't played X, Gears, or Saga yet. I'm going to get a ps1 classic for Gears. 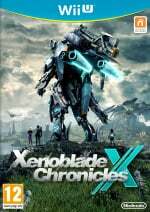 I would love a port of Chronicles X. Like many, I never had the Wii U. Such a large game on a mobile device would be amazing and I am certain that there is a audience for it. This is one of the few developers I'd love to get some remakes from. Great news! Even if they’re still to top the first Xenoblade Chronicles (XC2 was somewhat weak in the story and characters department), I’d love to see them try. i know 250 ppl looking for a job . To hard?